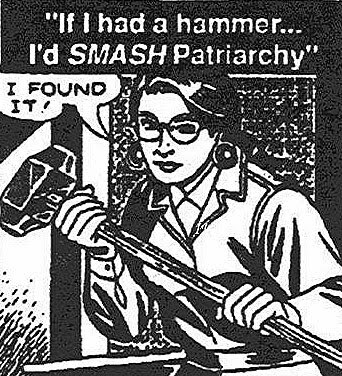 I have a new column up at Strange Horizons, "Patriarchy Studies". There was a bunch of stuff I wanted to put into the column, but decided to save most of it for future ones, since this one was having a hard enough time cohering as it was. And some things might have been good to have there, but seemed distracting -- for instance, I had a long footnote about the complex relationship of Isaac Asimov and feminism, but cut it out because it was tangential to the direction I was trying to go in (suffice it to say, if you're curious about the complexities, be sure to read The Battle of the Sexes in Science Fiction and The Secret Feminist Cabal). Mostly, I just wanted to bring Sally Boland's name out to the public beyond our university, because she was awesome. I knew her at the end of her life, but her influence on me was primarily through the people for whom she was a colleague and mentor, many of whom became my mentors and colleagues. I have Sally's copy of Adrienne Rich's On Lies, Secrets, and Silence, and it's a book I treasure.